On the first real day of summer in Portland you just want to stop time, because before you know it summer will have flown by and you’ll be stuck again with the rain and your bottle of vitamin D chewables. 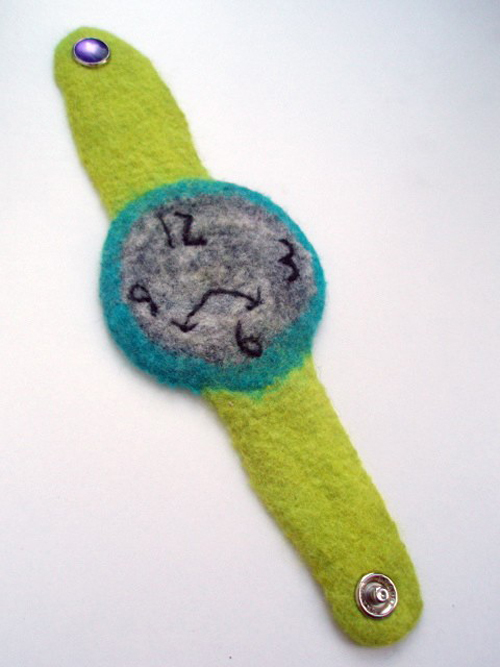 Luckily, Portland maker LeBrie Rich feels the same, and made this felt watch for just such occasions. See more of her stuff on Etsy at Penfelt.